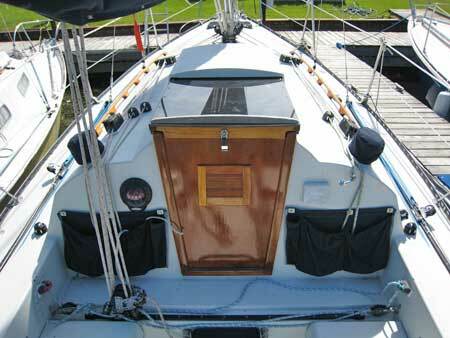 This layout was designed for a small crew, so everything but the reefed outhaul comes aft. On the left, main halyard, vang, cunningham, outhaul. On the right, pole lift, spinnaker halyard, genoa halyard. Pole downhaul is on the side of the coachroof.